The quality of your dish depends very much on the internal temperature. Too hot or too cold can mean poor quality or possible illness. The Perfect Taste Temp Probe stays in your dish while cooking and alerts you when your food has reached perfection then automatically adjusts the oven to a Keep Warm setting to prevent over cooking. 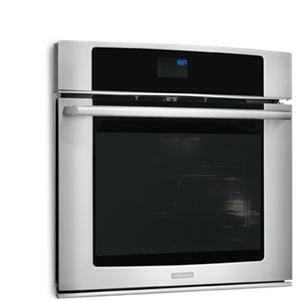 Modern, sleek controls that display all of the cooking modes at the touch of button. 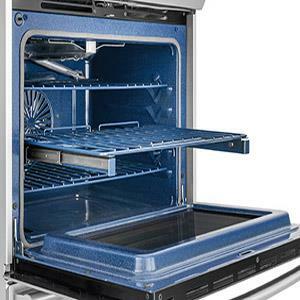 Simple and smooth, the oven rack easily slides out thanks to a ball bearing system. 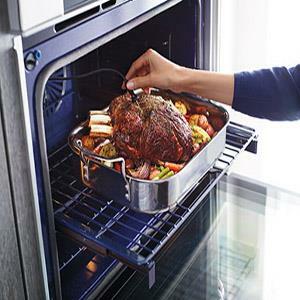 For those not well-versed in convection cooking but want to harness its benefits, this oven has convection conversion which automatically adjusts standard baking temperature to convection temperature to make convection cooking simple and easy. 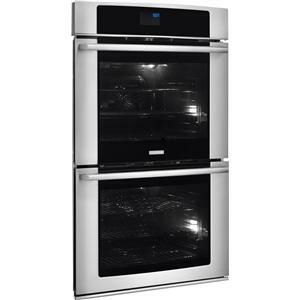 Features Luxury-Glide® oven racks, Luxury-Design® lighting, Luxury-Hold™ oven door, PerfectConvect³® convection technology with convection conversion, and "My Favorite" setting. 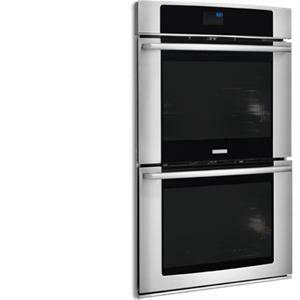 The Electric Wall Ovens 30” Electric Double Wall Oven with IQ-Touch™ Controls by Electrolux at VanDrie Home Furnishings in the Cadillac, Traverse City, Big Rapids, Houghton Lake and Northern Michigan area. Product availability may vary. Contact us for the most current availability on this product. Upper Capacity 5.1 Cu. Ft. 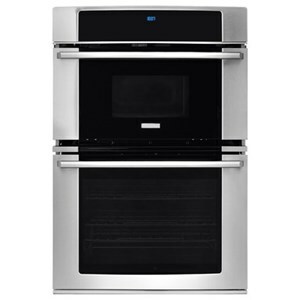 Single, Double, or Oven/Microwave combination, Electrolux wall ovens come in a variety of sizes and with a variety of features. 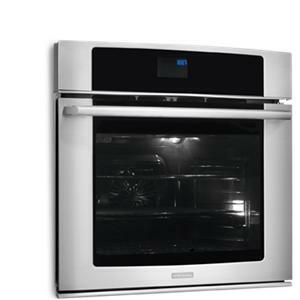 Handy precision baking features like Perfect Turkey® and Wave-Touch® controls make cooking an easier process. The style and design of Electrolux is like non other and will give your kitchen a professional, sophisticated feeling. The Electric Wall Ovens collection is a great option if you are looking for Appliances in the Cadillac, Traverse City, Big Rapids, Houghton Lake and Northern Michigan area. 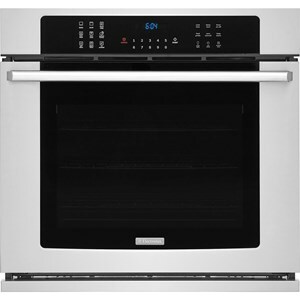 Browse other items in the Electric Wall Ovens collection from VanDrie Home Furnishings in the Cadillac, Traverse City, Big Rapids, Houghton Lake and Northern Michigan area.